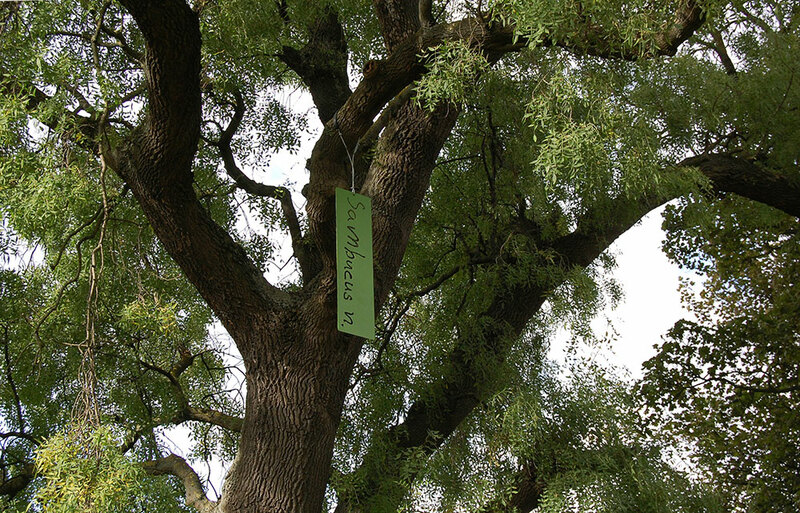 Giant sculptural Tree Tags inscribed with children’s handwriting in four languages hanging from the branches of Pilrig Park’s trees, reflecting the diverse cultures which make up the park’s surroundings. 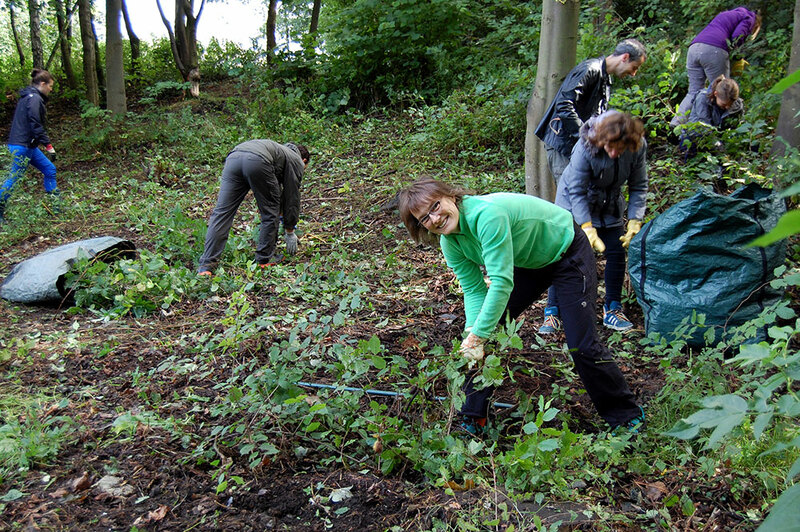 Native Scottish Bluebell woodland has been planted as part of a new management plan for the park to reintroduce much-needed Biodiversity: plant, bug and wildlife. Lead artist Andrea Geile draws upon the work of John Hutton Balfour (1808-1884), a key figure in botanical education and exploration, for inspiration. 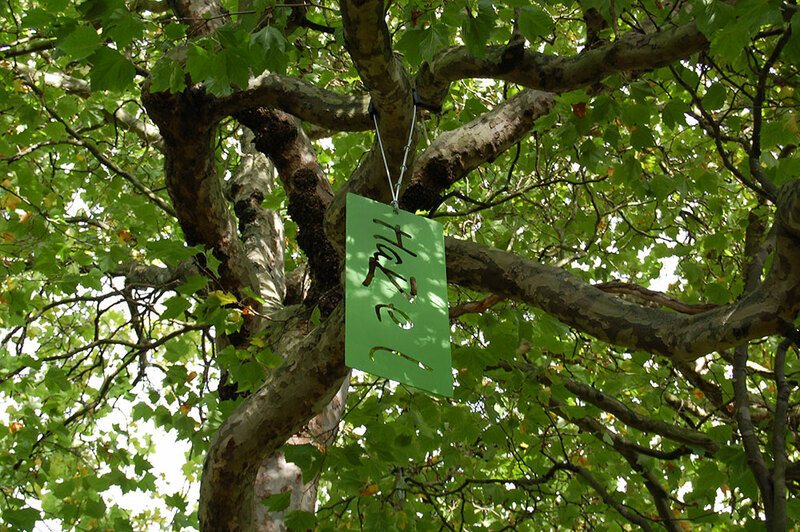 Fusing his legendary teaching methods with contemporary creative approaches to the development of public green spaces, Geile worked with the local community and schools to invest in their surroundings through an understanding of the rightful place of plants in a biodiverse ecosystem. 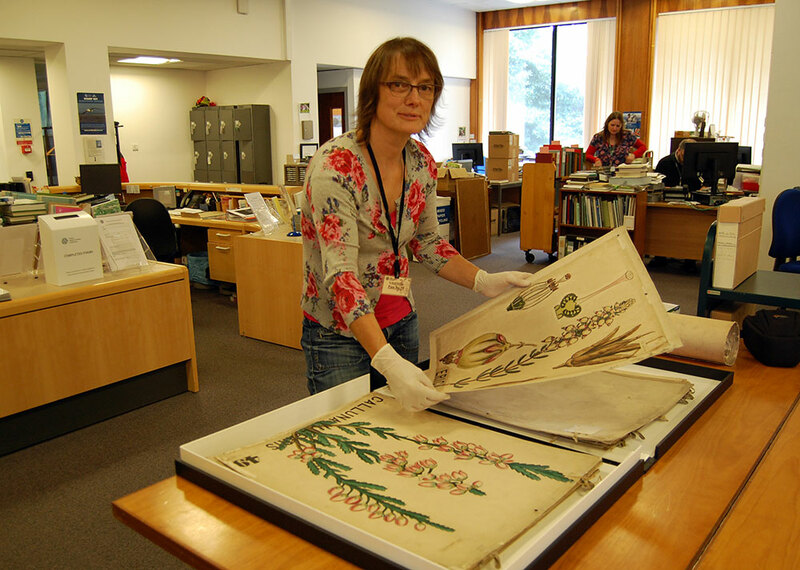 Andrea’s research is supported by the Royal Botanic Garden Edinburgh Archive. 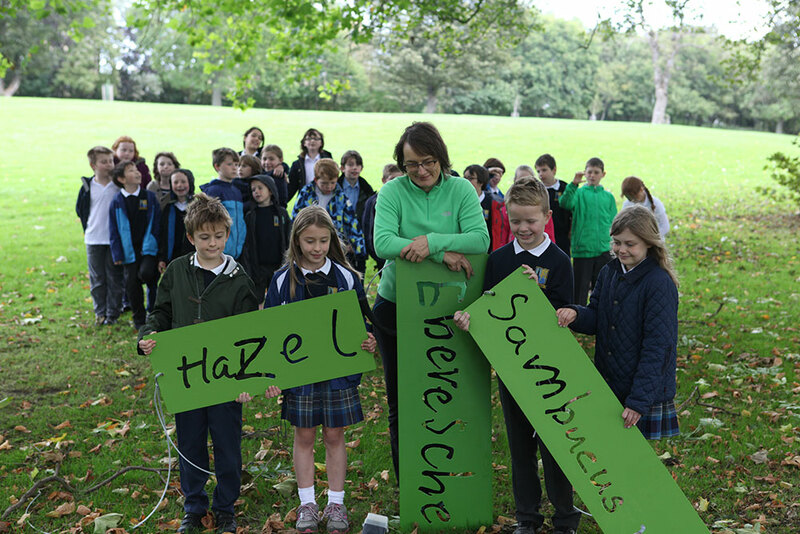 The project is funded by Grow Wild through support from Kew Gardens and the Big Lottery Fund.